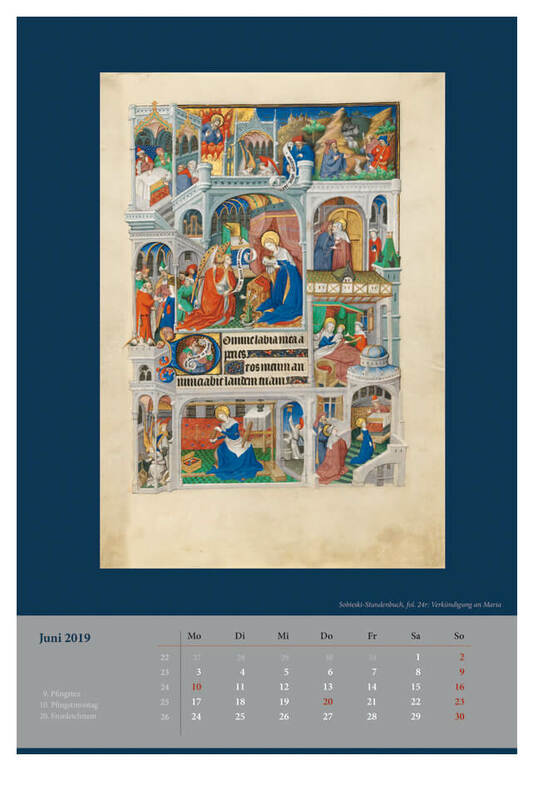 Each year Quaternio Editions Lucerne publishes a wall calendar featuring “Masterpieces of Book Illumination”. 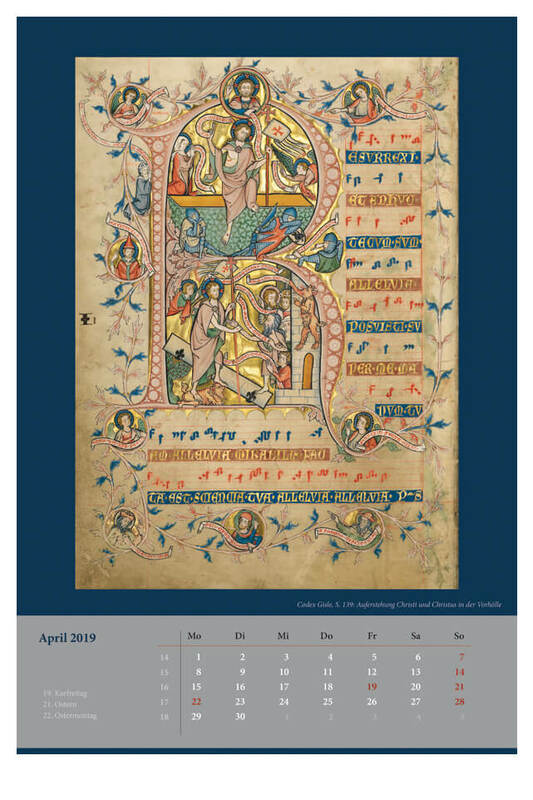 Month by month the calendar sheets show motifs chosen from the most beautiful illuminated manuscripts of the Middle Ages. Detailed descriptions of the manuscript pages are found on the reverse side of the calendar sheets. 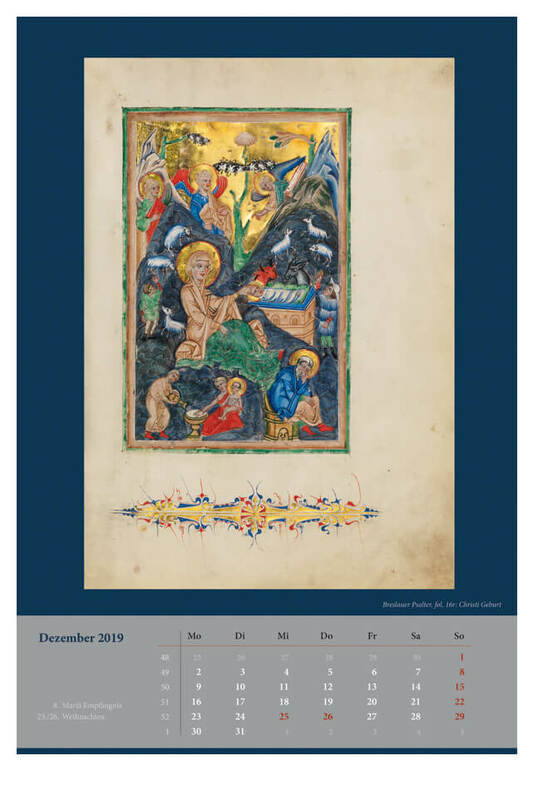 Experience book illumination throughout the whole year: from January to December! 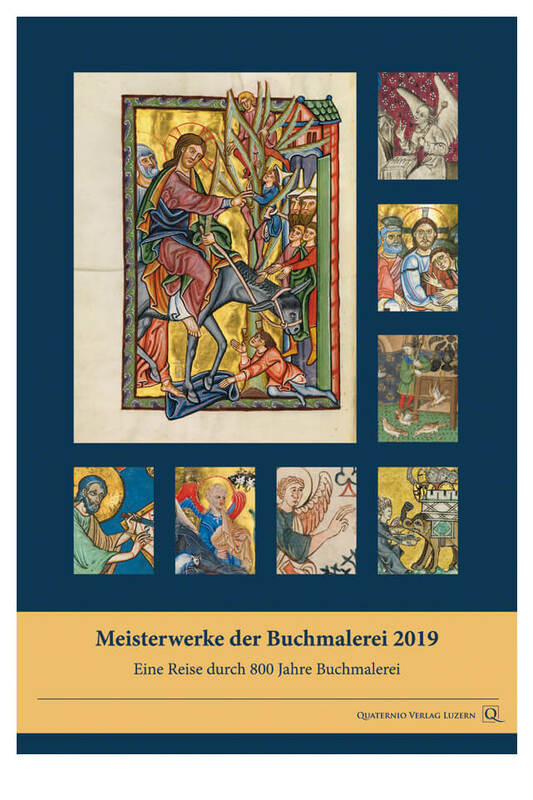 Click here to go to the online shop (only available in German) where you can order the wall calendar. Or send us an email to info@quaternio.ch. Please contact us if there are any questions about the wall calendar. We are very much looking forward to your message.